Continuing with our Take Five series, this week we look at five Italian explorers and their discoveries. Italy has produced many explorers of international fame, with one of the most famous being Marco Polo (1254 – 1324), the man responsible for epic voyages to China and the Far East. Polo is remembered also for his friendship with Kublai Khan, the subject of the 1797 classic poem that bears his name by Samuel Taylor Coleridge. Also the world over knows the name of Genoa-born Christopher Columbus (1451 – 1506), the man whose voyages contributed to shape the modern world. Alongside these famous names, Italy has gone on to produce many more accomplished explorers; here are five who have made a difference to the world as we now know it. Born on 18 April 1897 in Palmanova, in the Udine province, Ardito Desi led the first successful expedition to scale K2, the world’s seconds tallest mountain. He became famous for his exploration of mountain ranges. Before graduating from the University of Florence in 1920 with a degree in Natural Sciences (Geology), Desio had been a lieutenant in the Alpini, the elite mountain military corps of the Italian army; he was once taken prisoner by the Austrians during an exercise on Mount Pasubio, in the northern Italian region of Trentino-Alto Adige. For a further three years, he continued with more advanced study, before becoming an assistant university lecturer and later a Professor of Geology, working in Pavia before accepting a lifetime post at the University of Milan. During this period, he undertook expeditions to the Apennine mountain range and the Alps (1920), which resulted in his publishing a volume of his geological findings. 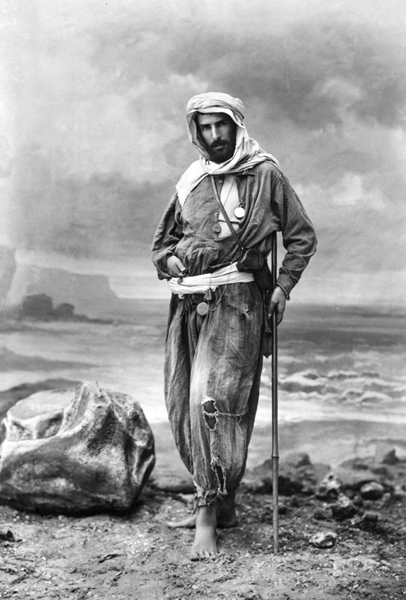 He then went on to explore mountainous areas of Africa; in 1926, he set off on a geological expedition to the Oasis of Jaghbub, in the Libyan Desert; his findings were later published by the Royal Geographical Society of Italy. Between university engagements, he became a seasoned traveller, going on to explore the Middle and Near East: in 1939, he was credited with the discovery of oil deposits and gas in Libya and in 1962 he became the first Italian to reach the South Pole. His expeditions led to more accurate mapping of the mountainous regions he visited and his findings led him to become a consultant geologist for the Edison Company, with its hydroelectric plants in various countries, including Italy, Brazil and Turkey. 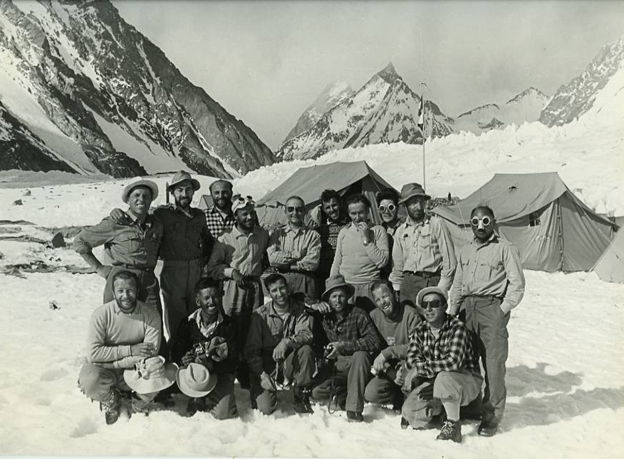 Although, due to his age, he was unable to take part in the final scaling of K2 (8,611 m), the success of the ascent on 31st July 1954, is credit to his meticulous preparation and planning and the disciplined military strategy he applied to the climb. Speculation arises around the actual birthplace and date of the explorer Caboto, who, under the commission of England’s reigning monarch, Henry VII, on 24th June 1497 discovered new regions of North America. 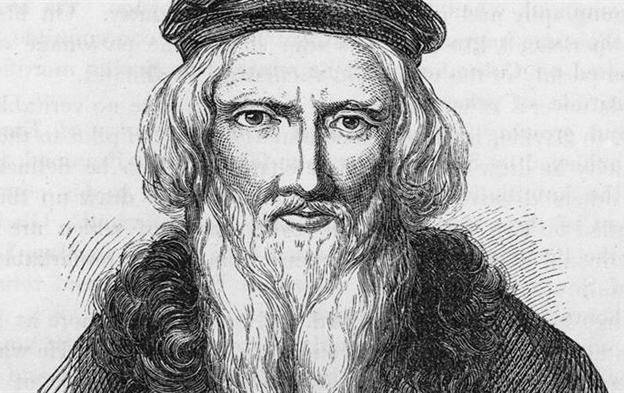 Despite being born Giovanni Caboto, he would become better known under the name of John Cabot, and it is widely thought that his was the first European encounter with the mainland of North America since the Vikings in the 11th century. Historians have narrowed his birthplace down to either Gaeta in the Kingdom of Naples or Castiglione Chiavarese in the Republic of Genoa, though he spent his early years living in and around Venice. In 1476, he officially became a citizen of Venice and, around 1490, he moved to England, relocating to the port of Bristol. Fifty days into the voyage to Asia aboard his ship, Matthew, he landed on the east coast of North America: this claim is not without skepticism as the journey is thought to have led him to discover the shores of Newfoundland rather than America. Upon his return to England, after claiming the land in the name of his king, he was awarded a substantial yearly pension that was equivalent to four times that of a sailor’s annual salary. In May 1498, Cabot once again set sail from Bristol, this time with 300 men and five ships. One of the ships sustained damage and sailed to Ireland, while the other four continued on with the expedition, only to meet with a mysterious end. Not much is known of the fate of Cabot and his men, just speculation that the ships were lost at sea, however some historians believe he returned to England in 1500, but this has never been conclusively proven. It is firmly believed that it was because of John Cabot, and his royal commission, that America went on to adopt the English language. Despite his German name, Messner, who has secured the accolade of the greatest climber in history, is an Italian citizen. Born on 17th September 1944 in Bressanone (Brixen) in the South Tyrol of northern Italy, he spent his early years climbing in the Dolomites and reached his first summit at the tender age of just five years old. By the time he had reached his twenties, along with his brother Günther, he was ranked alongside Europe’s best climbers. Fluent in Italian, German and English, Messner was the first climber to reach the summit of the world’s 14 highest peaks, measuring 8,000 metres plus. He is also the climber that conquered Everest without the use of supplemental oxygen. In 1970, adopting the Alpine climbing tactics developed by Hermann Buhl, which Messner claims are more respectful of the mountain and its nature, he undertook his first major Himalayan climb and the then unconquered Rupal face of Nanga Parbat. The expedition, which was a success, was marred by tragedy as both Messner and his brother Günther reached the summit, but sadly Günther died two days later during their descent of the Diamir face. His body, it was claimed, was later taken by an avalanche and lost; it was only due to a freak heatwave in June 2005 that Günther’s remains were eventually recovered. Messner went on to conquer many more mountains, in fact far too many to mention in this feature, and it is for the sheer scale of his achievements that he was awarded the name of greatest climber in history. 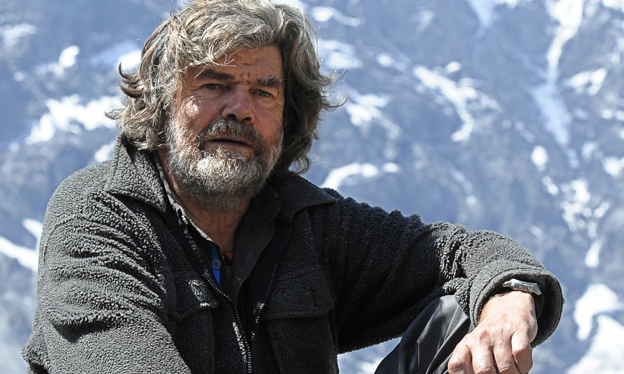 Reinhold Messner went on to become a MEP for the Italian Green Party, serving from 1999 to 2004, helped to establish the Messner Mountain Museum that focuses on education and conservation of mountains internationally, and is the author of 63 published books relating to climbing and his experiences. 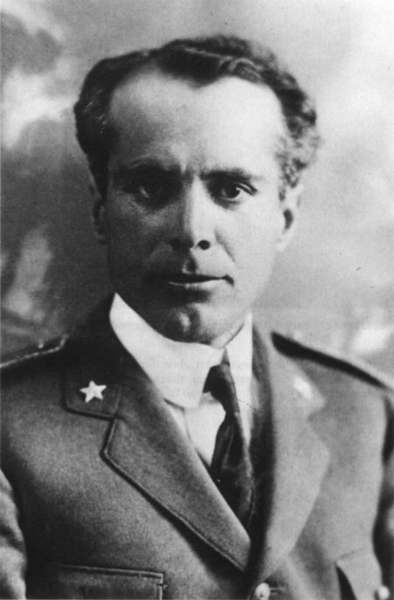 Aeronautic engineer and arctic explorer Umberto Nobile was born in Lauro, in Campania’s province of Avellino, and graduated from the University of Naples with degrees in both industrial and electrical engineering. Before the outbreak of the First World War, he was working for the Italian railways, helping to install the electrification of the tracks. However, his fascination with the work of airship pioneers led to a change in direction and, in 1911, he entered the field of aeronautical engineering. At 29 years old, when Italy entered the war in 1915, he was declared physically unfit for service and prevented from enlisting; he therefore spent the war working on and overseeing the construction of military airships. None of his designs flew until after peace was declared. After the war, he formed a partnership that collectively went on to redesign a medium-sized, semi-rigid airship. Nobile was noted saying that this hybrid of the rigid and non-rigid types was superior to previous designs. In 1925, the Norwegian explorer Roald Amundsen asked Nobile to collaborate on a venture to become the first aviators to reach the North Pole: previously Amundsen had flown 280 km (150 nautical miles) of the Pole. With their airship, Norge, complete, an account from an American air crew claiming to have flown over the Pole almost ended the Norwegian/Italian dream. Later, it transpired that the American claim was false and so, on 11th May 1926, fifteen and a half hours after departing from Svalbard on the Norwegian archipelago, the Norge airship made history as it flew over the North Pole. A second Polar expedition was devised, this time solely an Italian venture. On 23rd May 1928, the N-class airship Italia flew to a Siberian group of Arctic islands before crossing over the North Pole on the 24th of May. On its return flight, the ship encountered a storm and crashed; ten of the 16 men in the crew were thrown onto the ice, and one of them was killed on impact. The remaining six crewmen trapped inside the buoyant superstructure drifted off to certain death. Of the men trapped on the ice, some chose to head off in search of help, and after a month of searching by rescue planes, the remaining survivors were recovered. Many blamed Nobile for the crash and subsequent deaths, a controversy that hung over him until 1945, when the Italian Air Force absolved him of all responsibility, promoting him to the rank of lieutenant general and awarding him severance pay dating back to 1928. Born in Castel Gandolfo, near Rome, the seventh son of Count Ascanio Savorgnan di Brazzà, Pietro was interested in exploration from a very early age and, after graduating from the French naval school in Brest, he joined the French ship, Jeanne d'Arc, sailing to Algeria. After first seeing Africa during an anti-slavery voyage in 1872, Brazza took over the Vénus, and sailed several times up the Gabon and Ogooué rivers. His next feat was to trace the source of the Ogooué River during an expedition funded by wealthy French friends in high places. A second, French-funded mission ensued whereby following the now familiar Ogoue River, then downstream via the Lefini. He then discovered that it was possible to reach the Congo without crossing into Portuguese territory. He spent many months in the Congo, establishing trade links for his French benefactors, even once meeting fellow explorer Henry Morton Stanley, the man famous for uttering the greeting, "Dr Livingstone, I presume?" For his trips he had several custom-made items: one was a travel case made by the now famous fashion house Louis Vuitton, which, once opened, converted in a portable camp-bed. In 1905, during his last tour of the Congo, he contracted dysentery and died. He later received a dedication that named him as a founding father of the Republic of the Congo, a decision that has divided opinion.